Intertwining his practice with the role of composer, British artist Haroon Mirza considers electricity his main medium and creates atmospheric environments through the linking together of light, sound, music, video and elements of architecture. Mirza explores that which is complex in our world and investigates and exhibits it by combining the logic of technology, science and physics with a more intuitive, anthropological approach. British artist Haroon Mirza has gained considerable international recognition for his installations that show the interplay and friction of sound, light waves and electric current. At Nikolaj Kunsthal, the Danish art audience will be given the opportunity to explore Haroon Mirza’s complex universe through the exhibition Dancing with the Unknown. The exhibition opens on February 15, 2018. In his installations, Haroon Mirza is known for creating kinetic effects through sound and often circular, synchronised mechanic centres. In his hybrids of installation, sculpture and performance, he investigates new forms of interaction between the work, spectators and the space. The result is an uncanny and thought-provoking experience, which actively involves the viewer. /\/\/\ /\/\/\ Feat. Tim Burgess & Nik Void, the symbol for the constellation Aquarius, is an immersive sound and light work featuring four projections and 12 speakers standing apart, in which a rather mystical atmosphere is mixed with a more aseptic, elaborate technological structure. Also part of the work is a lightproof and soundproof chamber that visitors can disappear into – to experience a jet of water amplified by both light and sound. The result is a powerful and sensuous experience, in Mirza’s signature style. The piece Light Light Light has been created specifically for Nikolaj Kunsthal and includes some solar cells that get activated by the light falling in through the Gothic windows of the building. “With this exhibition we wish to present a new artist of high international standing to the Danish audience who is working both with new technologies and at the same time reaching back into art history. Mirza’s works contain references to Fluxus art of the 1960’s and in so doing, they establish a special connection to the Nikolaj Kunsthal space where some of the early Fluxus concerts took place”, says Helene Nyborg, exhibition co-ordinator at Nikolaj Kunsthal. ”We are proud that in Nikolaj Kunsthal we possess a Copenhagen exhibition space that can invite and attract an international artist such as Haroon Mirza to the city. Mirza’s installations are both sensuous and highly intelligent, and I look forward to experiencing them”, says Niko Grünfeld (of the party The Alternative), Mayor of Culture & Leisure. The opening of Dancing with the Unknown takes place on Thursday 15th of February from 5pm to 7pm. Admission is free. The exhibition can be experienced at Nikolaj Kunsthal from February 16 to May 13 2018. 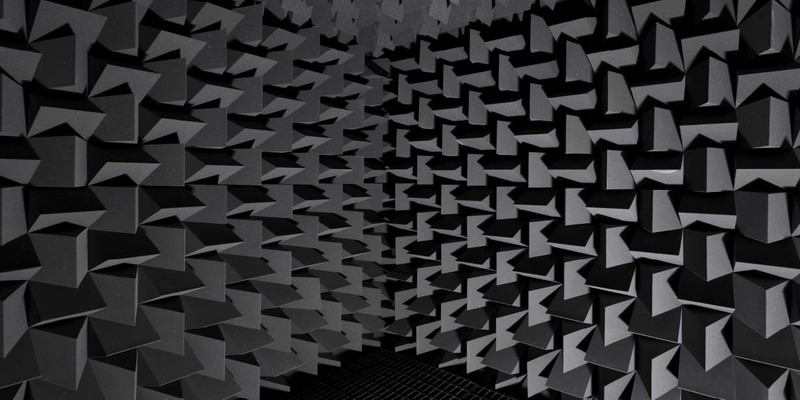 Haroon Mirza was born in London in 1977 where he lives and works. He has a BA in Painting from Winchester School of Art, an MA in Design Critical Practice and Theory from Goldsmiths College (2006) and an MA in Fine Art from Chelsea College of Art and Design (2007). His work has been featured in exhibitions worldwide. He is the recipient of the Calder Prize, the Nam June Paik Art Center Prize, the Zurich Art Prize and the Silver Lion of the 54th Venice Biennale in 2011.